Quickie’s Quality Car Wash offers a quality, exterior wash in about 5 minutes. Our tunnels are equipped with the most advanced, state-of-the-art equipment and technology available. 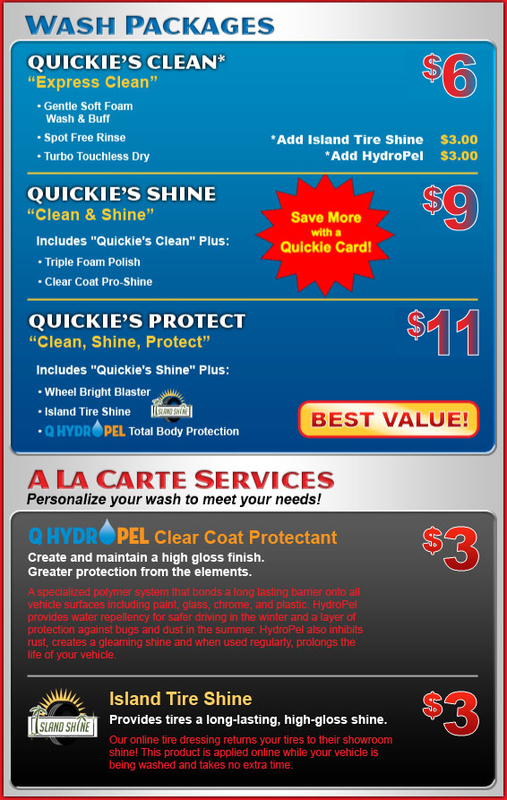 Our specially formulated bio-degradable soaps, gentle soft foam, high pressure water, computer-controlled equipment, and our special touchless turbo air dryers are just a few of the features that make Quickie’s the ideal way to clean vehicles with the brightest shine every time!